Rosa Parks would have celebrated her 100th birthday Monday. The civil rights leader died in 2005. Photo by Associated Press. We know instinctively that not everything we come to believe as history is true. But we want it to be. 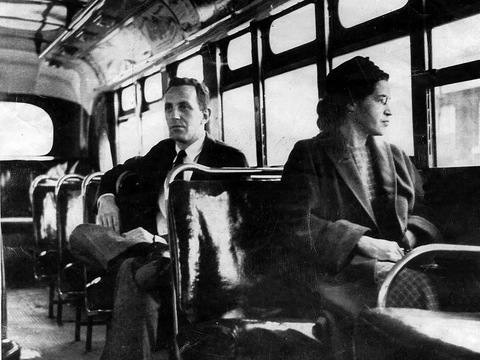 We want to believe that a timid seamstress sat down on a city bus in December, 1955 and refused to give up her seat to a white man because she was just too tired. We want to believe that she was a solitary heroine who single-handedly desegregated public transportation in Montgomery, Ala., overnight. And we want to believe that she spent the rest of her days comfortably, secure in the knowledge that her meek, nonviolent approach to injustice made all the difference. Except, as is too often the case with revisionist history, we would be wrong. Jeanne Theoharis, a political science professor at Brooklyn College of the City University of New York, knew there was more to Parks’ story, even though bits and pieces of it have appeared in various history books. She also knew no one had written a scholarly biography of the woman who captured a nation’s imagination. That’s in part because many of Mrs. Parks’ papers and belongings remain locked away, the subject of a dispute between the organization she founded and her family. That has made her writings and artifacts — including Smithsonian-worthy items like her eyeglasses and papers — inaccessible to historians, held in storage by an auction house hoping to sell them for many millions of dollars. But what Theoharis does reconstruct in her book, “The Rebellious Life of Mrs. Rosa Parks,” is illuminating. She was not meek. She was not used. She was as fond of Malcolm X as she was of Martin Luther King Jr. Moreover, the Montgomery bus boycott did not transform America overnight. It took 382 days and hundreds of volunteers to force change, and that was years before the March on Washington. Parks and her husband Raymond lost their jobs and would not regain economic security until they moved far away, to Detroit. 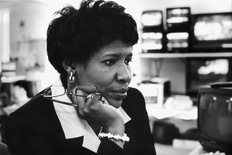 After interviewing Theoharis for the PBS NewsHour, I went back to my own computer files to find the short tribute I was invited to deliver at Parks’ Washington, D.C., memorial service in 2005. This week I talked to Jeanne Theoharis, author of “The Rebellious Life of Mrs. Rosa Parks” about the civil rights leader’s influence globally. It was an overwhelming moment for me, standing in the pulpit of a sanctuary that was founded by freed blacks, and where Frederick Douglass worshipped. But it is Jeanne Theoharis who has made the greatest contribution to our annual, ritual observance of Black History Month. She has revealed a story clouded by myth, conflict and fictional retellings. In the process, she has given us a valuable framework for understanding the present and the future.